Keith Earls became Ireland's World Cup try record holder as his side struggled to 16-9 win over Italy on Sunday that secured their place in the World Cup quarter-finals. Centre Earls broke Brian O'Driscoll's Irish World Cup record with his eighth touchdown in two tournaments. Flyhalf Nicolas Sanchez guided Argentina to a five-try 45-16 victory over Tonga on Sunday, setting the Pumas firmly on course for a place in the Rugby World Cup quarter-finals. 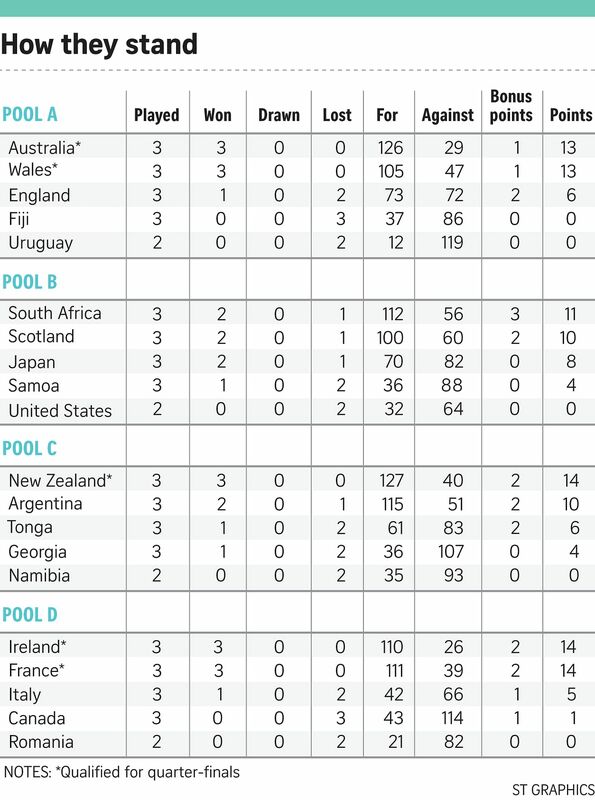 The bonus-point win in Leicester lifts the Pumas above Tonga to second place in Pool C, with the Pacific Islanders yet to play group leaders and defending champions New Zealand. For their final match, Argentina face lowly Namibia as they look to seal passage into the last eight.